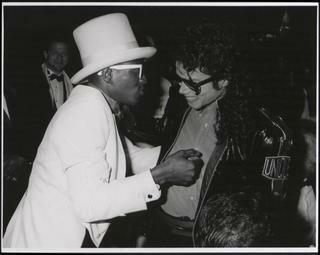 MICHAEL JACKSON WITH FLAVA FLAV. . Wallpaper and background images in the 배드 시기 club tagged: bad era. This 배드 시기 photo might contain 녹색 베레모, 특수 부대, 엘리트 군인, 녹색 베 레모, and 특수 부 대.